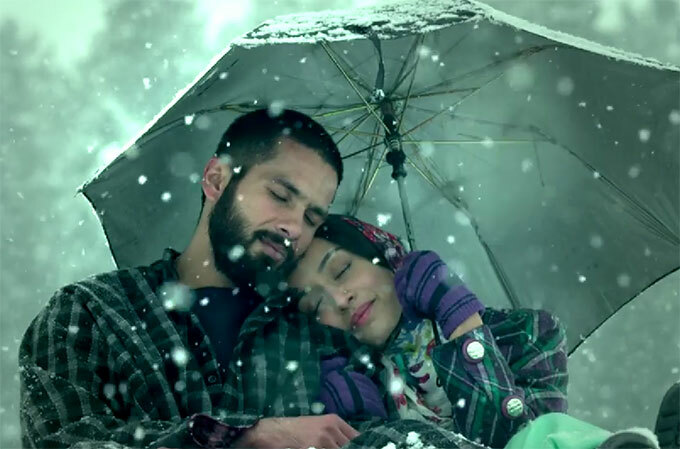 Shahid Kapoor as Haider in the second half, etches an unforgettable performance. The support cast are brilliant, but the real protagonist of the movie is Kashmir. “Revenge begets revenge. Unless one gets freedom from a revengeful mind, doesn’t realize true freedom” is the big message from Haider. Vishal Bharadwaj’s latest release is a painting of blood and gore over the serene and exotic Kashmir canvas. He does a fusion of two extreme schools of filmmaking – Anurag Kashyap and Sanjay Leela Bhansali. Kashmir is shown as beautiful as Swiss alps and so chilly that I started feeling colder than usual in the movie hall. The pace is slow, the settings, dark, gloomy and grim; but await the timely jolts. The improving state of Kashmir can be gauged by the number of movies being shot on location there and friends visiting the state in the last decade or so (compared to the situation before). To those who haven’t yet made it to Kashmir, including yours truly, our perception of the northern tip of our country is based on pictures shared by friends, Bollywood movies and news. Location shooting in Kashmir brings that extra edge to movies – most movies shot in the picturesque locales range from good to brilliant – Henna, Mission Kashmir, 3 idiots, Yahaan, Dil Se, Fanaa, Lakshya, Roja, Highway to name a few. Haider doesn’t break that trend. Neither does it paint the army in bad blood as claimed by the few circulating “Boycott Haider” text messages. Traditionally Bollywood has liberally painted negative images of political leaders, government officials and the police; but always showed the army in positive light. In Haider, the army are shown doing their job and following instructions of their seniors. If one senior employee is unscrupulous, it does not paint the whole organization black. Nor does it show atrocities only towards Muslims. In one scene when a boy finds himself alive amidst a truck load of corpses, he rejoices so wildly that you don’t care which religion he belongs to. Haider shows that when corpses fall, it doesn’t matter whether it belongs to army or police, Muslims or Kashmiri Pandits. It’s death of humanity. This isn’t the master’s best work but makes a much needed statement – the last scene stays etched in memory. At a Rs. 24 crore budget Vishal Bharadwaj has given us a smart, marvelous product; although I wish he had shifted the second half to a Mumbai underworld or UP badlands background and thus increased the pace (it would have further reduced his budget too!). His best works still remain Omkara, Maqbool and Kaminey. Kaminey also remains Shahid Kapoor’s best, though as Haider in second half, he etches an unforgettable performance. The support cast are brilliant, and although you feel deeply for Tabu, the real protagonist of the movie is Kashmir. In one scene Shahid aptly puts ‘entire Kashmir is a prison’, a feeling you get throughout and wonder how some people are working overtime to turn heavenly stretches of land into a sea of corpses, destruction and drying blood amidst an envelope of fear, terror and deceit. No freedom can be gained with guns, Gandhiji showed us the way with a simple stick. Box Office Predictions: Singapore midnight show had 70% hall full with viewers who surprisingly were not resorting to random giggling or talking, as they normally do. The glossy chick flick Bang Bang will take away most of multiplex audiences but lovers of good cinema will ensure Haider just about crosses 40 crore mark – which means will be a big hit, primarily due to the low denominator.